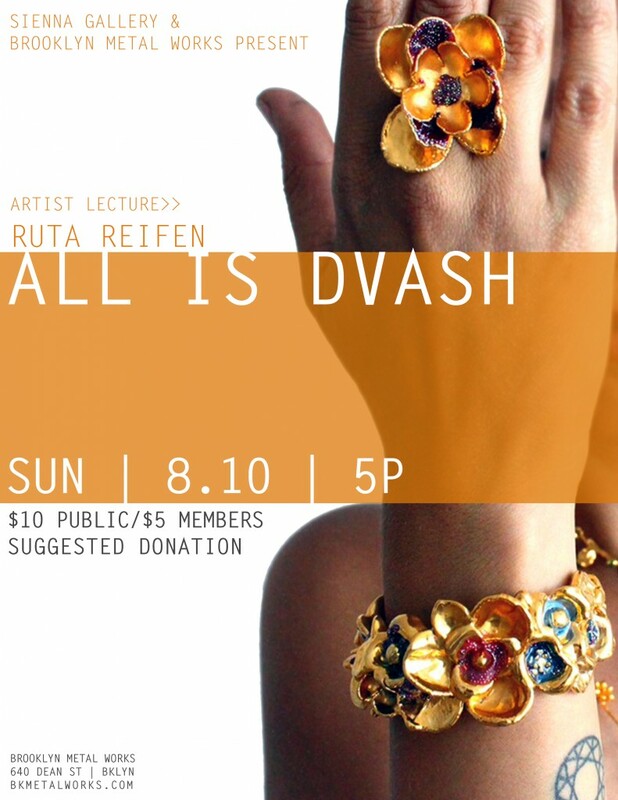 In support of Reifen’s solo exhibition All Is Dvash on view at Sienna Gallery July 26th – August 17th. “Be aware of beauty” is a moto I have grown up with. “It brings joy into your life” I was told, and this is my ultimate goal in my work. Flowers, little gems of beauty, displayed freely by nature, have punctuated my life with slivers of happiness. Their myriad shapes and colors, their undulating, flowing lines, are the source of my inspiration, and have led to my fanciful compositions. Flowers hold the promise of future fruits, their nectar the promise of future honey. Coming from the land of ‘Milk and Honey’, I have titled my show ‘All is Dvash’ – all is honey, hinting to the wonder of hope and joy contained within each flower. Each piece is unique. Individually sculpted by hand, and electroformed in my studio, brought to life by highlights of color. Bold yet delicate, each is an invitation for you to connect to those moments of happiness aroused by flowers in your life, and outwardly adorn yourself with them.